When you make a professor the head of government don’t be surprised when he trots out a few gems in perfectly timed context. 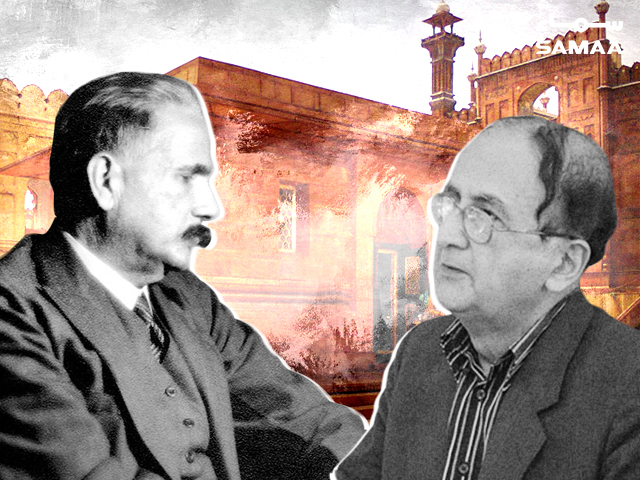 “There are a few things I’d like to share with you that not a lot of people know about Allama Iqbal,” said Prof Hasan-Askari Rizvi, when he emerged after paying his respects at the national poet’s mausoleum on Saturday. All newly appointed chief ministers uph old this tradition. Dr Rizvi was just sworn in as caretaker chief minister of the Punjab a day ago. 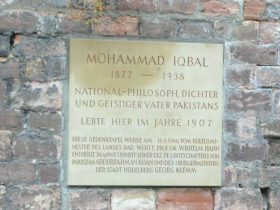 He then went on to tell the story of how Allama Iqbal did his PhD from Munich University but went to live for a few months in Heidelberg when he needed to learn German in 1908. “Outside the house where he stayed for a few months, there is a plaque which our embassy in Germany put up,” Dr Rizvi added. Heidelberg city also named a road after the poet, calling it Iqbal-Ufer. “Those who have read him know his nazam Darya-e-Neckar ke kinaray,” said Dr Rizvi. 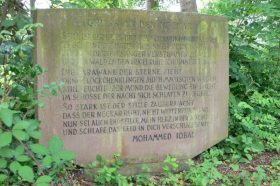 The poem has been translated by famed scholar Annemarie Schimmel and you can find it carved into a rock by the river. ‘Could I have been living in a lovelier place?’ I pondered as I walked by. And wondered if centuries-old misfortunes could be undone. Losing myself, as often, in the beauty and the glaze. And allowed it to penetrate my senses, gently absorbing me. which seemed to cradle the city, by their will. I remembered the musings of a friend, not very long ago. And saw a falcon perched atop a roof, ready to take flight. And a bunch of excited passengers waved across with a fervour. As they honked and quacked their way past. Parents doting over their toddlers, beginning to run. A tired rower seemed to be in his world of dreams. And reminisced about that ride I took with my friends. A mere rhetorical question, it was indeed! My heart knew the answer and so did my mind. Oh Heidelberg! You have stolen my heart and are all over my mind!